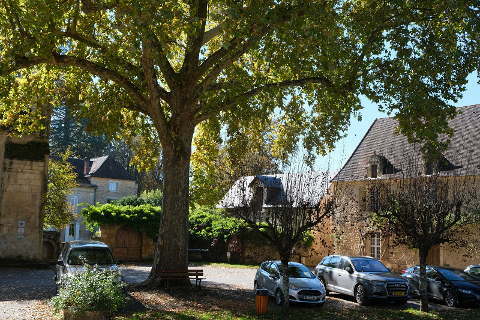 Le Moustier is 10 km north east of Les Eyzies in the central part of the Dordogne department. 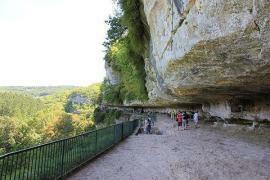 This part of the Dordogne is packed with prehistoric shelters and caves. 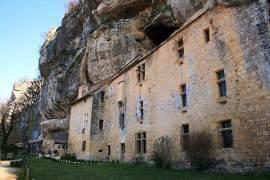 Le Moustier is a small village whose claim to fame comes from having two pre-historic shelters. In one of these, the 'Abri inferieur de Moustier' a skeleton of a neanderthal type man was discovered. The skeleton was sold to the Museum of Berlin. Sadly apparently only the skull remains as the rest of the skeleton was destroyed at the end of the second world war! In the other shelter 'the Abri Superieur de Moustier' various stones deliberately shaped by prehistoric man were found. 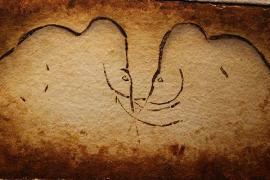 This discovery gave the name of "Moustierien" to the tool culture of this time. There is not much to see in the two shelters, especially when compared to the wealth of prehistoric paintings and rock sculptures in caves all around Les Eyzies but for dedicated enthusiasts visits are possible and are organised by the 'Grotte de Font de Gaume'. 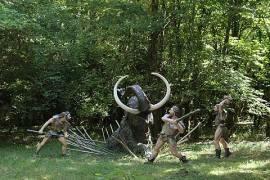 For more information about the prehistoric shelters of Le Moustier. 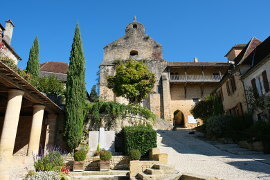 In the village of Le Moustier there is a small roman church and a small museum with a collection of pre-historic fossils. 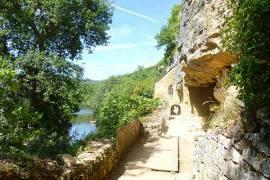 La Roque Saint Christophe is a rock shelter quite high above the river Vezere which has been used for both prehistoric and medieval habitation. It is an interesting site to visit. 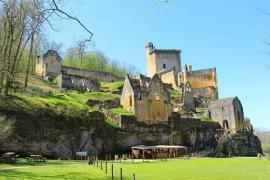 The village of Saint Leon sur Vezere is nearby. 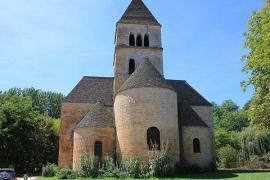 This village has been classified as one of the most beautiful villages in France and is indeed very charming. If you are interested in seeing some of the prehistoric sites in the area but not sure which ones to visit then see our one day guide to the Prehistoric sites around Les Eyzies de Tayac.